The Ebisu summer festival (matsuri) is traditionally held the last Friday and Saturday of July, so if you have no plans for the evening, put on your happi-coat (or yukata) and head down there when it's in full swing. Ebisu is almost an underground neighbourhood of Tokyo nestled between Roppongi and Shibuya, its more recognised nightlife cousins. Even without this particular annual event, it's worth a visit of an evening if you're looking for out-of-the-way watering holes and restaurants, there's always something interesting around the next corner. 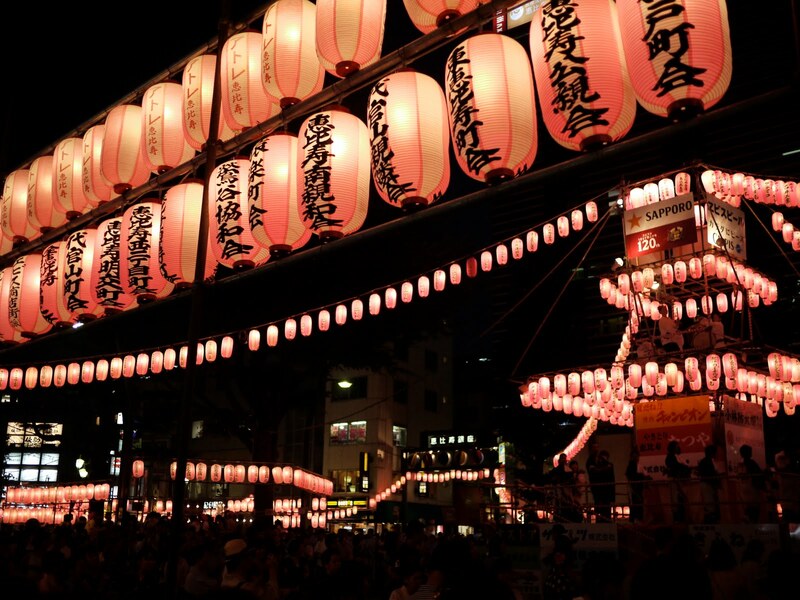 Japan is awash with summer festivals but this one, a little like Tsukiji fish market, is one of those sights that should be on everyone's 'life-list' but unlike many of its more famous counterparts, it tends to run somewhat under the gaijin radar. Which is peculiar given that four to five thousand people attend each evening. The centre of the village, next to the station, is closed and a giant, pagoda-style, platform erected in the focus, large enough to carry twenty people or more. And, through the evening, as the dance grows, thousands join the ritualistic festivities. And this one is extremely family and foreigner friendly. Everyone, whether young or old, is welcome to join, and although the steps are intricate, the overall patterns are repeated over and over so the motions soon become fluid and familiar. The obligatory food and beer stands line the side streets but somehow the entire area remains moving. So if you have a spare evening at the end of July, grab your happi-coat and head on down to Ebisu. You'll enjoy a uniquely Japanese experience.